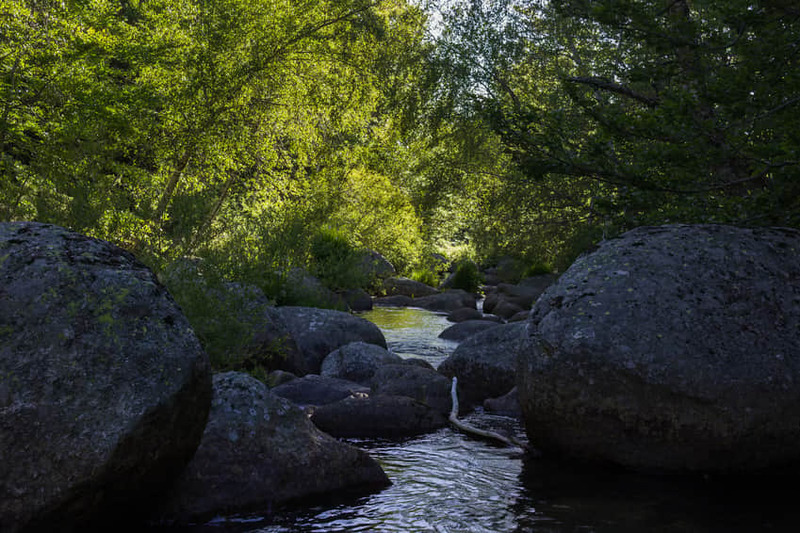 The Mourier canyon is an invitation to a beautiful aquatic hike in the heart of the Cevennes. It is a wild and preserved place. Far from the crowds, you will appreciate this activity in the Dourbie gorges. Carved in granite, you will descend the river enjoying a fun day, full of wonder. The Canyon du Mourier is located in the heart of the Cevennes. We are on the upper part of the Dourbie River. It is a beautiful granite canyon that in many places looks like canyons in Corsica. Accessible from the age of 10, you will evolve in a parade of granite blocks. It is ideal with your friends and family, punctuated by a few small jumps from 1 to 4 meters and slides. This activity which can be done from the age of 10 lasts all day long. The meeting location is in Dourbies in front of the church Notre-Dame-de-l’Assomption at 10:30. It starts with a 10-minute hike. You are in the canyon for 4 hours of fun guided by a certified instructor. It ends with a 45-minute hike. All the technical gear is brought and lent by the guide. We will ask you to give us the height and weight of each participant to pick a neoprene suit adapted to your morphology. Each participant needs to bring a swimsuit, a towel, a pair of sneakers/trainers, a vest, a bottle of water, snacks and lunch.